A gentle cleanser containing a blend of organic and biodynamic essential oils, plant extracts and the energies of gems and crystals to assist in the removal of make-up and impurities whilst helping to maintain the delicate moisture balance of the skin. Application with water stimulates the active ingredients from plant extracts and fruit oils. Squeeze a small amount onto the palm of the hand and apply to already dampened face using circular massage movements over the whole face and neck. Rinse thoroughly with lukewarm water. To ensure all the potent elements are energetically brought together before application, we recommend shaking each AEOS product before use. All AEOS products are highly concentrated. 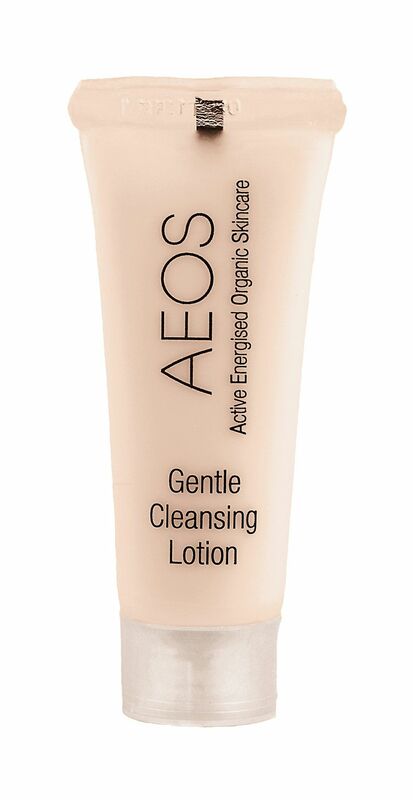 A little goes a long way, so please use sparingly.Always apply AEOS products to damp skin. Colour: 100% natural and plant derived pink from the alkanet root. Crystal Essences: Fire Opal, Rose Quartz, Calcite, Quartz, Charoite, Rubelite. Geraniol*, Eugenol*, Citronellol*, Benzyl Alcohol*, Farnesol*.